Privacy has always been part of our DNA at Twitter. 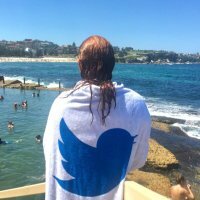 When the company was founded 13 years ago, we offered a range of ways for people to control their experience on Twitter - from creating pseudonymous accounts, to letting people control who sees their Tweets, and a wide array of granular privacy controls. These deliberate privacy designs have allowed people around the world to express themselves freely and openly - including opinions that might otherwise be both personally and politically sensitive to share. It is part of the fabric of Twitter. There are a number of ways you can manage your privacy on Twitter and control what people are able to see about you. Protected Tweets: When you sign up for Twitter, your Tweets are public by default which means that anyone can view and interact with them. If you protect your Tweets, this will make your account private and other Twitter users will have to send you a request if they want to follow you. Accounts that began following you before you protected your Tweets will still be able to view and interact with your protected Tweets unless you block them. Location services: You can either choose to share your location on Twitter or keep it private. Your location is set to private by default but you can adjust this in settings. You can also delete your past location data from displaying in your old Tweets. Photo tagging: You can choose who can tag you in photos on Twitter: no one, only your followers, or anyone. Profile visibility settings: Most of the profile information you provide us is public, like your biography, location, website, and picture however for certain pieces of information, such as your birthdate, we provide you with visibility settings to select who on Twitter can see this information in your Twitter profile. Email and phone discoverability: You can control whether others can find you on Twitter using your email address or phone number by adjusting your discoverability privacy settings. 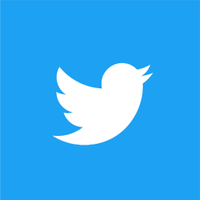 If you turn off the settings that let others find you by your email address or phone number, Twitter will also not use your address book contacts (if you have chosen to upload them) to suggest your account to others. In addition to controlling what others see about you on Twitter, we also believe that you should have meaningful control over the data that is collected by Twitter. We give you control through your settings to limit the data we collect from you and how we use it, and to control things like account security, marketing preferences, apps that can access your account, and address book contacts you’ve uploaded to Twitter. You can also always download the information you have shared on Twitter. You can also access Your Twitter Data toolset on Twitter. Your Twitter Data provides insights into the type of data stored by Twitter, such as user name, email address, and the phone number associated with the account, account creation details, and information about inferences we have drawn. You can also download a copy of your relevant data from Twitter.